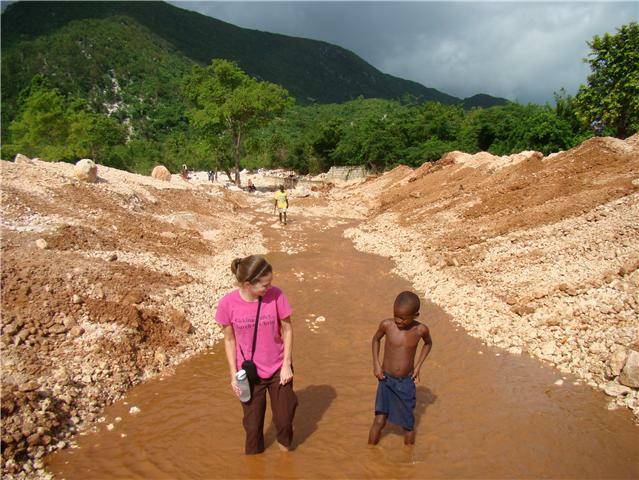 Last week, I experienced another "first" here in Haiti. Someone stole money from my house. Ironically, the money wasn't mine, it was the mission's I work for. I do not have an "open door" policy at my house. I know who did it but have no proof. The weird thing is I am not mad. Sad that someone who worked for us did not come and ask for help (if they took the money for an emergency). Sad that someone I joked with and tried to help out by giving a job turned around and stole. I felt like because I responsible for the mission's money, that I needed to repay it. This came at a bad time. But when does theft come at a good time...right? I am in the middle of paying Odessa's adoption lawyer (who is working very hard for us!) and gathering the last of the documents required by the Haitian government. But I knew the right thing was to repay it...so I did. Lord-you know I am sad right now. Disappointed in the thief, sad about dipping into my finances to right someone elses's wrong. How is this fair? I know you see and will make it right, if not in this life then in the next. Give me a positive attitude, erase the grudge and help me smile through all the rice and beans were are going to be eating the rest of the month! Now to the God part. The next day. Literally: The. Next. Day. I got an email from the board who is keeping track of my mission finances and bank accounts in the states. They thought they made a mistake in my reimbursements for the past 7 months. They wanted me to check my records to double check their math. Fat Chance was my first thought. But I checked and sure enough we had all overlooked non-taxable reimbursements I was supposed to be receiving each month for the past 7 months! It nearly tripled the amount that was stolen. Here's my theory-I think God sat back and watched what I do about the mission's stolen money. I knew the right thing was to repay it even though it was not the easiest choice. I could have easily shrugged off the responsibility and used the excuse of "it's not my fault". I think God provided for after I made my decision to repay the money. My God provided-not only the money to repay what was taken, but double the amount extra! You might think that is a coincidence. But I know better. I serve a God who listens to my prayers. They will call to me, and I will answer them. He cares about what is going on in my life. He wants to hear about them. He is waiting to hear from you also. Tell Him what's going on. Put your trust in Him. And don't be surprised when He gives you more than you ask for and takes care of you like the child of His you are. Our God is a merciful and giving God. He knows our hearts and will supply! Praying for you! Great story, and an even better lessen! Ginny. I cannot read your blog at all without tears. Love this post and the last one too. You rock lady!